In a race to bottom out, we find out what happens to your bike when it blows through its travel. Push your bike into a berm at speed or land a drop and your suspension works pretty hard to absorb the forces pushing back beneath you. But how low do you really go and what does it do to the geometry? We dropped two bikes through their travel to see what happens. If you’ve got 140mm of travel, you want to use it all, right? But frequently bottoming out is a bad idea. Aim to hit the bump stops only on big compressions and landings. As the fork goes through its travel it changes the head angle of the bike and makes it much steeper than static, pushing your weight over the front. Think of it like an impact on the bike that acts as a lever pushing the fork into the ground. 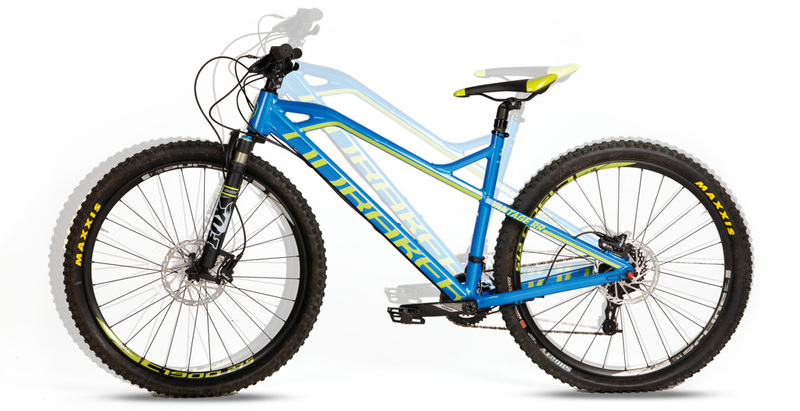 Hardtails actually need slacker head angles than full-suspension bikes do, to even up that imbalance. Hardtails with loads of travel (140mm should be about tops) often don’t work as well as short-travel hardtails precisely because there’s too much variation in the head angle as the bike switches from its static position to full travel. 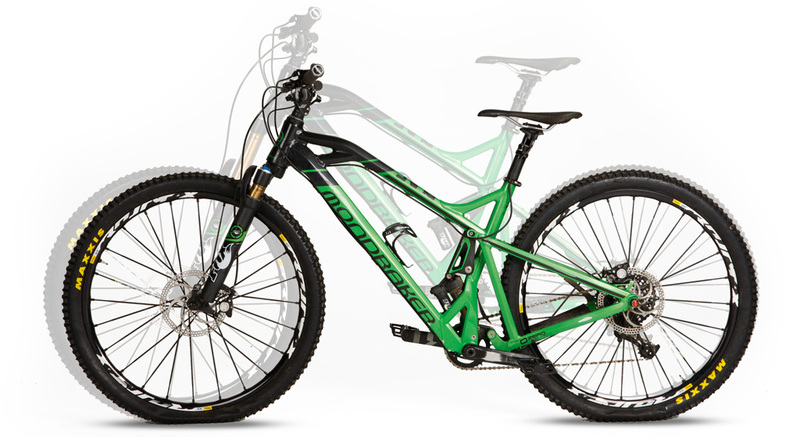 Provided you land or load the bike with both wheels the head angle actually slackens on the full-suspension bike. The BB height drops dramatically, bringing your chainrings close to the trail — keep your feet level to stop one side striking. You can also see just how much chain growth takes place on the Mondraker, as the suspension moves up and away from the BB. This is why correct chain length is so important — get it wrong and it could rip the mech off. If you’re worried, shift the bike into the big ring and largest sprocket and slowly let the air out of the suspension. Remember your tyres will also deform under load at full travel.